Lozano, who headed the corporate and commercial practice at Spanish firm Ramón y Cajal Abogados, is joined by fellow partners Antonio Sánchez Montero, Inmaculada Castelló and Idoya Arteagabeitia. Construction company OHL in-house lawyer Ricardo García has also joined the firm as part of the new lineup. 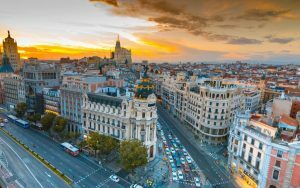 Pinsent Masons has reassigned existing London-based partner Sofía Parra, who was promoted earlier this year, to the Madrid office. The firm has confirmed that the office will be operational from 1 May. Pinsent Masons senior partner Richard Foley said: “Our vision is to be recognised as an international market leader in the global sectors in which we operate, and we recognise that we can only do that if we are serious about supporting our clients across key commercial centres. The announcement comes within 12 months of the firm opening an energy-focused office in Dusseldorf and an energy and infrastructure-focused practice in Johannesburg. Last year, The Lawyer also reported that Pinsent Masons may consider opening an office in Dublin as it launches a review of its operations in Ireland in the wake of Brexit. The firm already has an office in Belfast, which is headed up by corporate partner Paul McBride. A Dublin office would be Pinsents’ first base in the Republic of Ireland.